Through building a successful Bookkeeping business in Newcastle for the past 15 years, we have evolved and embraced the digital disruption. Achieving Xero Bookkeeping success, using Xero has become the Modern Bookkeepers choice of Accounting Software which has opened up opportunities using innovative Cloud technology. Xero’s ease of use has helped small business owners control their cashflow and grow their business. Often procrastination and unique Bookkeeping methods prevent small business owners achieving Xero Bookkeeping success with accurate data creating an entangled mess. Accounting fees can be an expensive burden when your Accountant needs to untangle the mess. Adopting our 6 fundamental Bookkeeping strategies to your Xero file will enable you to achieve accurate Bookkeeping and save on Accounting fees. Enter bills as bills, use spend money for loan payments and bank fees, use sales for invoicing. This will eliminate overpayments and improve your business interactions as you are able to send remittances and set up reminders for late payments on overdue invoices. This will help you achieve Xero Bookkeeping success. Before actioning your transactions THINK how did I enter the transaction last time? Which account did I code it to? Entering a transaction into Xero can affect many different parts of your file. Knowing the answers to these questions will improve accuracy and reduce the risk of an entangled mess. Personal transactions don’t belong in your business bank accounts. Transfer one amount to your personal account weekly to cover your personal living expenses. This will decrease the number of Bookkeeping transactions making it less overwhelming when reconciling your accounts. See your business as an entity of its own. Setting up repeating invoices enables you to send invoices consistently increasing payments improving your cashflow. You will save time and gain efficiency on Bookkeeping by setting up bank rules, repeating bills and invoice reminders. This also helps with your consistency and to achieve Xero Bookkeeping success. Set aside regular scheduled time to login into your Xero file. Review your Dashboard and action draft invoices & bills. Take a look through your bank account and reconcile transactions. Send statements to your customers and remittances to paid suppliers. Xero is a powerful tool when all features are utilised. Align yourself with a reputable Bookkeeper and use their knowledge and experience to invest in yourself. Through training and support you will gain business insights to grow your business along with Xero Bookkeeping success. 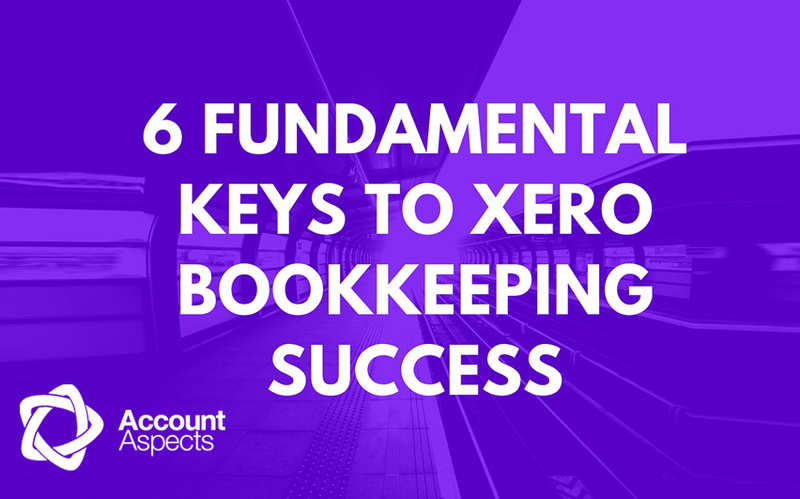 Your Bookkeeping burden will dissolve and become a simpler task when applying these 6 fundamental keys. The procrastination and overwhelming feeling will be replaced by inspiration and determination. These 6 fundamental keys to Xero bookkeeping success has inspired an article written by our owner Leigh Cummings featured on SavvySME. FREE 15 mins Consult. Analysing your needs to offer the best solution for you.